DUNN, JOHN HENRY, office holder, politician, businessman, and militia officer; baptized 26 Feb. 1792 on St Helena, son of John Charles Dunn and Elizabeth Bazette; m. first 4 May 1820 Charlotte Roberts (d. 1835), and they had six sons and two daughters; m. secondly 9 March 1842 Sophie-Louise Juchereau Duchesnay at Quebec, and they had a son and a daughter; d. 21 April 1854 in London. John Henry Dunn’s father, a surgeon and native of Northumberland, England, is believed to have occupied a position with the East India Company. 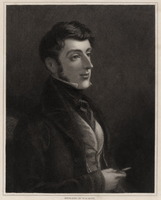 He was wealthy enough to ensure that his son received a proper English education and to marry his daughter, Mary Ann, to Francis William Ogilvie-Grant, later the 6th Earl of Seafield. It is not entirely clear though how John Henry, in his late twenties, secured the life appointment of receiver general of Upper Canada. He himself attributed it to the influence of Charles Grant (later Lord Glenelg), the chief secretary of Ireland and a relative of Mary Ann’s husband. Dunn was appointed receiver general on 12 April 1820. By that summer he and his 19-year-old bride, from a wealthy Sussex family, had left England for their new home at York (Toronto), Upper Canada. He was sworn in on 18 October and within a month had received the office’s money, bonds, accounts, and ledger-books from the acting receiver general, George Crookshank. Dunn’s duties involved the collection of the casual and territorial revenue, including the funds derived from the crown lands and clergy reserves, all of which was subject to the control of the crown through its representative, the lieutenant governor. The receiver general also served the provincial House of Assembly by collecting the customs duties, tolls, and other local imposts under its control. Dunn’s dual role was reflected in his salary: he received £200 annually for administering funds controlled by the executive, a three per cent commission on all collections made in Upper Canada, and three and a half per cent on customs revenue collected in Lower Canada. Shortly after his appointment, the Upper Canadian legislature sought to replace his commission with a fixed salary of £550. Dunn initially objected but, although the British Treasury upheld the province’s right to pay him in any way it wanted, the appropriate legislation never received royal assent. Only in July 1831 did the legislature establish a fixed annual salary, £700, which along with Dunn’s £200 as a crown officer and £200 for collecting funds for the Canada Company, enabled him to maintain the annual return of £1,100 he had attained under the old arrangements. 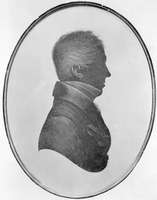 Although his books received an initial audit in Upper Canada, Dunn always claimed that as receiver general he was ultimately responsible to the British Treasury. In 1824, because of this belief, he labelled as “unwarranted” the criticism by Attorney General John Beverley Robinson* and Chief Justice William Dummer Powell* of his collection of a fee on a provincial loan he had negotiated. When an assembly committee on public accounts, chaired in 1829 by Thomas Dalton*, condemned both the disproportionate costs of the receiver general’s office (caused largely by his emoluments) and its inefficient accounting, Dunn rejected as “impossible” the “great many mistakes” found in his accounts. Equally sensitive to criticisms by British officials of his salary and accounting procedures, Dunn continually sought to use his dual accountability to evade his responsibility to, and establish a degree of independence from, both his provincial and his imperial masters. 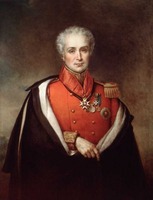 His early successes in resolving the province’s financial difficulties would allow him gradually to widen his discretionary powers as receiver general. It was not until Upper Canada faced bankruptcy that its executive and legislature would successfully assert control over their financial officer. Dunn had arrived in Upper Canada shortly after a dispute had arisen between the upper and lower provinces over their agreement to share the duties collected at Lower Canadian ports. As a result of this controversy, Upper Canada had not received any portion of its share since July 1819, an annual loss of nearly “four-fifths of the whole revenue” of the upper province, according to the report made in 1821 by the commissioners representing Upper Canada in the negotiations between the two provinces, William Claus*, Thomas Clark*, and Allan MacLean*. Faced by such financial difficulty, the legislature sent Attorney General Robinson to England in 1822 to enlist the aid of the imperial government. In the mean time Dunn faced the immediate problem of dealing with the temporary shortfall in revenues. He pressed customs inspectors in Upper Canada for funds they were owing, thereby increasing the amount collected from £6,000 in 1820 to £9,500 a year later. More significantly, Dunn sought private funds to finance public activities. In 1821 the legislature authorized him to borrow money to pay arrears in the pensions due militia veterans of the War of 1812. That fall the Niagara district firm of Thomas Clark and Samuel Street* lent the government £20,000 at six per cent, the maximum rate allowed under the British usury act. The loan was to be paid off in instalments over the next three years. Because the public revenues were insufficient to cover the amount, however, the government permitted the Bank of Upper Canada to take up the debentures as they fell due, thus borrowing from one source to pay another. The eventual resolution of the dispute with Lower Canada did not relieve the financial difficulties of Upper Canada. The imperial parliament’s Canada Trade Act of 1822, in failing to give Upper Canada effective control in the division of the duties collected at the major port of Quebec, limited its ability to raise revenues to meet its escalating expenditures on public works. Revenue received from the Canada Company after it began operations in 1826 [see John Galt*] would help to defray the government’s expenses, but, as the province sought to improve roads and waterways in the 1820s, its receiver general resorted to borrowing to finance these improvements. By 1830, through the issue of provincial debentures, Dunn had secured loans for upwards of £90,000. Dunn was personally involved in one private transportation project which increasingly absorbed government revenues. 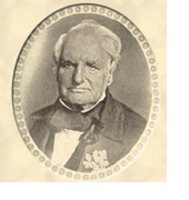 In 1824 William Hamilton Merritt*, a mill-owner with an ambitious plan to link lakes Ontario and Erie, persuaded him to purchase stock in the newly formed Welland Canal Company and asked him to serve as its first president [see George Keefer]. Dunn’s initial decision to decline the position was no doubt influenced by the lack of either official or unofficial enthusiasm in York for Merritt’s project. The following year, however, he accepted the presidency, a decision that coincided with an amendment to the company’s charter which made a directorship dependent on the subscription of at least £250, thus virtually ensuring majority representation by the York élite on the company’s board. Although Merritt simply hoped that the receiver general’s name would help promote the sale of company stock, Dunn proved to be a personal friend and a valuable ally within government circles. In New York City he personally disposed of 6,000 shares worth £75,000 and assisted Merritt in a successful application for £25,000 in aid from the House of Assembly, which the company received early in 1826. Financial problems, precipitated by the failure of a fellow director, Solicitor General Henry John Boulton*, to sell the £100,000 worth of shares reserved for the London market, prompted the company to seek further government assistance. In his role as financial adviser to the government, Dunn maintained that it could safely subscribe for £50,000 in shares without seriously embarrassing provincial revenues, and it did so in 1827. At the same time, Lieutenant Governor Sir Peregrine Maitland forwarded to the Colonial Office a scheme outlined by Dunn proposing an imperial loan of £50,000 sterling for the canal project. Merritt followed up this initiative in 1828 by visiting England, where he secured the loan. In March 1833 the canal was completed, but Dunn was no longer president. He had resigned in February, refusing to bow to pressure from other directors to be made personally liable for a loan needed to pay several contractors. The following year, relations between Dunn and Merritt were severely strained when the receiver general, fearing excessive depreciation, refused to release £50,000 in debentures for the Welland Canal, though Merritt had already negotiated a loan against their anticipated sale. In the end, the government repaid the loan and cancelled the debentures, adding the loss to a growing public debt. As demands mounted for the government to support the Welland Canal and other transportation projects, and as debenture issues fell due, Dunn became a central figure in the province’s efforts to secure its financial position. In March 1830, in order to cancel the public debt, the House of Assembly empowered him to negotiate a long-term loan in England, where, it was convinced, he could get better terms than were available within the province. Dunn unsuccessfully applied to a number of London firms whose principal business was the financing of British trade with North America. He tried the London market again three years later, by which time he had been able to raise, in Upper Canada, only a little more than £10,000 of the £250,000 required for the improvement of navigation on the St Lawrence River, the construction of roads and bridges, the reduction of the public debt, and the payment of compensation to those who had suffered losses in the War of 1812. This time the responses to Dunn’s request for a loan were more favourable. One firm, Thomas Wilson and Company, expressed some interest in offering a long-term loan of £200,000 sterling. Lieutenant Governor Sir John Colborne* granted Dunn permission to go to England, where he arrived in early September 1833, and by October he was back in Upper Canada, having succeeded in his negotiations with the Wilson firm. At the height of his career, in 1836, Dunn received an honour which he had long desired. 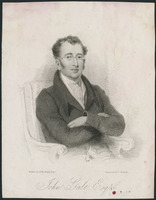 Although he had been made a member of the Legislative Council on 1 March 1822, he had been unable to secure an appointment to the Executive Council, in spite of his sister’s efforts in 1822 and Colborne’s recommendation in 1834. When the new lieutenant governor, Sir Francis Bond Head*, considered expanding the council from three to six members, Colonial Secretary Lord Glenelg reminded him that, on the recommendation of his predecessor in the Colonial Office, Dunn had been assured a seat. Seeking to broaden representation in council to include reformers, Head was likely relieved to hear that Dunn’s appointment, alongside those of John Rolph* and Robert Baldwin, would be supported by the reform-dominated assembly. 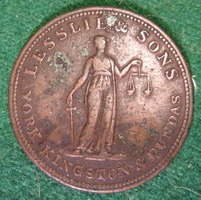 The three were sworn in on 20 Feb. 1836. Head’s conciliatory gesture, however, turned into a fiasco when he refused to consider a document signed by all six councillors asking that they be consulted on all matters relating to the government of the province. Head demanded that they abandon either their principles or their positions. Although Dunn, George Herchmer Markland*, Peter Robinson*, and Joseph Wells were prepared to retract their names, they resigned on 12 March along with Baldwin and Rolph. In less than three weeks Dunn had lost an appointment he had sought for 16 years. Angered by this incident, Head was enraged by his receiver general’s subsequent behaviour. In April Dunn was asked by the assembly to join Marshall Spring Bidwell* and Peter Perry, two of Head’s most outspoken critics, in meeting with Louis-Joseph Papineau* and two other Lower Canadian reformers, evidently to discuss the development of the St Lawrence. Instead of declining the offer in the firm language that the lieutenant governor had directed him to use, Dunn replied, either naïvely or to spite Head, that however much he might desire to, he could not accept the “Honour” conferred on him by the assembly because of his other duties and because he did not have the approval of the lieutenant governor. Though Dunn claimed throughout this affair that he was only interested in promoting improvements to the St Lawrence, an infuriated Head unsuccessfully demanded that Glenelg dismiss him. Head considered him to be sympathetic to the “revolutionary party” and stories appeared in George Gurnett*’s tory newspaper that Dunn was a member of the “cabal” which had met at John Rolph’s house and that he was donating money to the radical Canadian Alliance [see James Lesslie*]. Dunn publicly denied these accusations. Dunn’s political affiliations before 1841, by which time he had clearly emerged as a moderate reformer, are difficult to determine. Socially, he held positions of the sort associated with members of the tory élite in Toronto. He did not admit to being wealthy: in 1834 he confided to William Hamilton Merritt that only the family income of his wife, Charlotte, kept him out of debt and during the 1840s he claimed to be living on her bequest to their children. But he held a senior government post for which he received a sizeable annual salary, lived on a spacious estate known as Dunstable, sent his eldest son to Upper Canada College, and was a member of and conspicuous donor to St James’ Church. 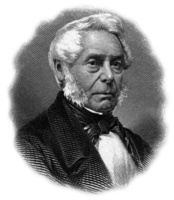 He participated with prominent tories as well as reformers in numerous other community bodies during the 1820s and 1830s: as a trustee of both the general hospital and the Home District Grammar School, member of the Board for the General Superintendence of Education, president of the Upper Canadian Temperance Society and of the Auxiliary Bible Society, director of the Bank of Upper Canada and the British America Fire and Life Assurance Company, colonel of the 2nd Regiment of West York militia, treasurer of the masonic lodge of Upper Canada, patron of the York Mechanics’ Institute, and member of the Upper Canada Club (Toronto Club). Yet he never seems to have been a member of the social or the political élite. Shortly before the outbreak of rebellion in 1837 [see William Lyon Mackenzie*], he informed Lord Glenelg that much mischief was resulting from “party spirit” in Upper Canada. He insisted that he was of no political party and that he had always tried to mediate between the two conflicting factions. Two years later he wrote Lord John Russell a lengthy memorandum, in which he argued: “Union will break up [the] parties etc. which have brought this province into its present deplorable condition, and these parties are becoming more and more opposed. Both are highly capable and equally wrong.” Regardless of his attempts to be non-partisan, Dunn clearly had no sympathy for the “violent party” of tories into whose hands Head had fallen. Although he had backed down during the Executive Council incident of 1836, his name continued to be linked with Rolph and Baldwin. 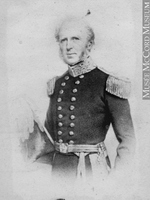 Though Dunn’s differences with the lieutenant governor did not lead to his dismissal as receiver general, they complicated his ability to deal with the financial impact on Upper Canada of the international commercial crisis of 1836–37. Late in 1836 the booming market in Britain for North American securities, which had allowed him to borrow with relative ease, slowed considerably. Rumours abounded in Upper Canada about the imminent collapse of both Thomas Wilson and Company and Baring Brothers, in which firms the province had an estimated £147,000 sterling on deposit. In April 1837 Dunn asked to be sent to London as a provincial agent to protect the revenues and public works of Upper Canada against the bankruptcy of the British firms. 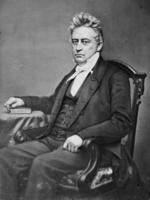 Head refused and appointed Solicitor General William Henry Draper* to go instead, although Dunn was granted a personal leave of absence in order to accompany him. By the time they arrived in June, the Wilson company had suspended all payments, including an estimated £80,000 sterling to Upper Canada. Draper pressed the Colonial Office to issue a writ of extent on behalf of the province, which would give the crown priority over the firm’s private creditors in bankruptcy proceedings but which might have ruinous implications for any Canadian banks or companies represented by the Wilson firm. Glenelg, who was upset because he had not known of the past loans to the province, questioned the political wisdom of issuing an extent and thus offending private creditors. In the mean time, Dunn, who was liable for loss of provincial funds on deposit in England, learned that another London firm, Glyn, Halifax, Mills and Company, had approached the Colonial Office and agreed to assume, beginning in July, the interest payments due on the provincial debentures held by Thomas Wilson and Company. 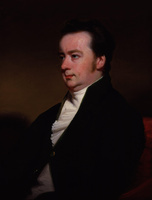 Through Robert Gillespie*, a merchant familiar with Canadian affairs, Dunn was introduced to the firm and, on his own authority, accepted the proposed assignment, thereby eliminating the possibility of an extent being issued and preventing the province from defaulting on interest payments. He was later criticized for this agreement because an extent might have resulted in more money being recovered to the province. It was never clear, however, whether the imperial parliament would have agreed to Draper’s request for an extent and what effect such a step might have had on Upper Canada’s credibility on the London market. Glenelg informed Head in August of Dunn’s action and reserved judgement on the wisdom of his agreement, preferring to question the soundness of allowing one person to control Upper Canada’s finances: “Mr. Dunn claims, and very probably possesses, the right to make on behalf of the Province pecuniary arrangements of vast extent in the adoption of which he acts upon his own single judgement.” Though touchy about his initiative with Glyn, Halifax, Mills and Company, Dunn had nevertheless felt justified in July in petitioning for a knighthood, which he never received. He returned to Canada in September. Dunn’s negotiations in London had introduced no new capital into Upper Canada, in spite of the fact that the assembly was seeking £654,250 for public works, including the proposed construction of two railways. In the climate of continued financial depression, provincial bonds were unsaleable in London. The province’s credit was further weakened by Head’s decision during Dunn’s absence to sell £138,000 in debentures, payable at Baring Brothers but without the firm’s knowledge, and by the rebellion of 1837–38. On two occasions, once in 1839 and again a year later, Dunn returned to London, ostensibly on personal business but also in an attempt to negotiate a loan to reduce the province’s burden of debt, which had forced the restriction or cancellation of various works. Both times he failed. It took the union of the Canadas, with improved provincial revenues, and an imperial-guaranteed loan of £1,500,000 sterling to bring financial stability back to Upper Canada. The receiver general’s credibility within the government was undermined by his resistance to administrative reforms in his office. 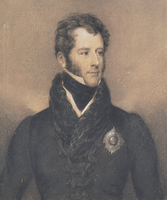 In the fall of 1839 Head’s successor, Lieutenant Governor Sir George Arthur, acting on a request from the assembly, established committees of investigation into the conduct of various executive departments. Dunn, always sensitive to criticism, was probably even more reluctant to cooperate with the committee investigating his office since it was chaired by his most persistent critic, William Allan, who months earlier had attacked Dunn’s broad discretionary powers as receiver general. The report of Allan’s committee harshly condemned the practices of Dunn’s office, as well as his resistance to the investigation. The casual and highly personal administration of the office was no longer suited to its complex operations, including its responsibility for large sums of public money. The committee found that of the £41,496 owed to the public by the office, only the £4,666 deposited in the Bank of Upper Canada and the office vault could be accounted for. Dunn claimed that £10,560 had been forwarded to Glyn, Halifax, Mills and Company to cover part of the interest payments on the provincial debentures, but he could not immediately provide any evidence of this transaction. The remaining £26,270, he explained, was available on demand from his personal agent in Montreal, Forsyth, Richardson and Company, where money was, and always had been, held at Dunn’s private risk. There was nothing improper in this arrangement, for which Dunn had posted bonds (themselves a matter of some question). His responsibility as receiver general was to produce the funds he had collected when and as required by the government, which, he emphasized, he was always prepared to do. Conscious of his previous disagreements with Allan on fiscal policy, Dunn defended his use of Montreal agents, the Bank of Montreal and Forsyth, Richardson and Company, for handling matters of colonial finance and exchange. He argued that the money was deposited in Montreal rather than Toronto so that the receiver general, and therefore the public, could continue to benefit from the superior market there for purchasing exchange. Dunn failed to see that the commingling of private and public finance, once traditional to many British departments, was outmoded. In 1833 the Audit Office in London had noted that, under the existing system, Dunn could derive personal benefit from the funds deposited with his Montreal agents, an argument which had been used in the debate to restrict his emoluments. Still, there was no evidence, and not much likelihood, that he had risked speculating with funds in his possession. In 1835, before William Lyon Mackenzie’s committee on grievances, Dunn had offered to cooperate with any measure to create a purely public, interest-bearing account, provided that he be released from his securities. 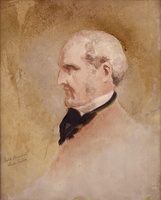 But Arthur informed Governor Charles Edward Poulett Thomson* in 1840 that Dunn regarded every criticism and every effort at reform as “an affront – a doubt of his integrity.” A feud broke out that year between Dunn and John Macaulay, the inspector general of public accounts, who had been instructed by Thomson to implement reforms in the auditing of the receiver general’s accounts. Thomson, later Lord Sydenham, eventually intervened on Macaulay’s behalf and ordered Dunn to make quarterly statements showing government revenues and expenditures and the exact locations where provincial funds were deposited. The governor thus ensured that Dunn would not have “the unlimited control he wishes” over the government’s money. Despite Dunn’s resistance to reform, Sydenham was able to pressure him into obeying his instructions; in October 1839 the Colonial Office had ended the practice of life tenure in various colonial offices, including Dunn’s. Late in 1840 he coyly let it be known that he would run as a pro-union candidate in Toronto in the upcoming general election, provided that Sydenham appoint him receiver general for the united provinces. The governor realized the value of such a popular candidate but set his own conditions on Dunn’s candidacy. He was sworn in as receiver general on 27 Feb. 1841, prior to the election and only after he had agreed to continue to respect Sydenham’s instructions concerning the handling of the province’s finances, if elected, and to resign, if defeated. Although his official future rested on electoral success, the political novice almost backed out of the heated campaign on three occasions, once when his running mate, Robert Baldwin, resigned, again after Baldwin was replaced by the politically aggressive Isaac Buchanan*, and yet again as a result of Sydenham’s decision to make Kingston, rather than Toronto, the new capital. Sir George Arthur, who played a backstage role in the elections, described Dunn to Sydenham as a “weak man, influenced by the impulse of the moment, and wayward to the extreme.” With good reason he complained, “It is terrible work to sustain in a public contest a person of this temperament.” Francis Hincks*, editor of the reform Examiner and a candidate in Oxford, was even blunter in his assessment: “Dunn is a weak man who does not understand politics but is anxious to act with Baldwin & the reformers.” In the end, Dunn and Buchanan defeated their tory opponents, George Monro* and Henry Sherwood, and paraded triumphantly through the streets on 21 March. Dunn’s first and last electoral victory was marred by partisan violence that day when a man was killed in a riot. Dunn’s career for the next three years was unspectacular. In the new era of public finance after the union, Dunn was largely eclipsed in matters of revenue by Francis Hincks, who, as inspector general of public accounts, castigated his outdated methods of bookkeeping and his concept of public accountability. 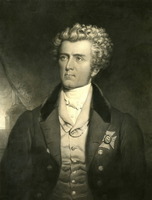 Dunn, in response, did not hesitate to voice his opinion, in conversations with other officials, that Hincks had been “implicated in the insurrections of 1837.” Sydenham’s successor, Sir Charles Bagot*, considered Dunn to be incompetent and would not entrust to him the negotiation of the £1,500,000 loan which had been guaranteed by the British government. During these years Dunn’s commitment to the reform cause, and to Robert Baldwin and Louis-Hippolyte La Fontaine* in particular, intensified. On 26 Nov. 1843 Dunn resigned along with all the other members of the Baldwin–La Fontaine coalition, except Dominick Daly*, to protest the refusal of the new governor, Sir Charles Theophilus Metcalfe*, to consult the Executive Council over patronage. Dunn vacated the office of receiver general early the following January and was replaced by Bernard Turquand as acting receiver general. 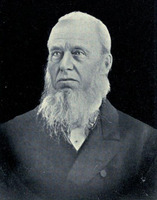 Briefly elated at being free of the office, Dunn remained in Canada, reportedly to support the cause of reform and responsible government. 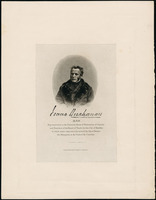 In April he rejoiced over La Fontaine’s decisive victory in a by-election in Montreal and denounced the “insolence and arrogance of those rabid Tories.” Still, as a result of his public disappointments since 1836, he maintained a bitter ambivalence about his prospects in Canada. Having lost the post he had held for 23 years, Dunn was “like a fish out of water,” one contemporary observed, and could scarcely believe the country could go on without him. Forgotten or ignored in the changing political and financial world of the union, he intended to return to England. He nevertheless ran as the reform candidate in Toronto in the general election of 1844 but was defeated. The following year he left Canada for London with his 23-year-old French Canadian wife and most of his surviving children. In England after an absence of 25 years, with no pension and no expectation of receiving another position from the Colonial Office, he hoped to find “some employment . . . through my friends who have Interest.” In the fall and winter of 1845–46 he complained to his Canadian friends of the high taxes and of the “horrible wretched climate” in London. He expressed a desire to live in Montreal if ever he could afford it. He waited in vain to be recalled when Baldwin and La Fontaine returned to power in 1848. Though he retained some land in Canada, he does not seem to have returned to the country he had come to regard as his real home. In the spring of 1848 he attempted to serve the Canadian government in a familiar role when Hincks asked him to negotiate a loan with Baring Brothers, but he was unsuccessful. Four years later Toronto’s mayor, John George Bowes*, approached him with a request to sell bonds on the London market on behalf of the city. Dunn remained in the country he claimed to detest until he was “called to his last audit” in London on 21 April 1854. Despite his many expressions of financial destitution during his lifetime, he left an estate valued at more than £86,200. He had not lived to see his son Lieutenant Alexander Roberts Dunn become the first Canadian-born recipient of the Victoria Cross for his valour on 25 Oct. 1854 in the charge of the Light Brigade. William Lyon Mackenzie, in an obituary in Mackenzie’s Weekly Message, remembered the former receiver general as a “faithful guardian of the public purse” who was a powerful supporter of the Welland Canal, the St Lawrence canals, and other public improvements. Yet Dunn was not simply a promoter of provincial development. Between the passage of the Canada Trade Act and the Act of Union, he had tried to ensure that projects received funding despite the financial constraints on the province. During that period, he later claimed, he had kept Upper Canada “from Bankruptcy by my own Personal exertions.” But borrowing on the London market was a temporary expedient which could not resolve the fundamental fiscal problems facing a developing province. Nevertheless, because Dunn’s actions facilitated an intensification of government involvement in the economy and a strengthening of the connection between Canadian economic development and British capital, his tenure as receiver general had a lasting impact in the realm of public finance in Canada. ANQ-Q, CE1-1, 9 mars 1842. AO, MS 74; MS 78; MS 500; RG 22, ser.155, will of J. H. Dunn. BNQ, Dép. des mss, mss-101, Coll. La Fontaine (mfm. at PAC). Diocese of St Helena (St Helena Island), St Helena, reg. of baptisms, 26 Feb. 1792. MTL, William Allan papers; Robert Baldwin papers; S. P. Jarvis papers, B67 (Bank of Upper Canada papers). PAC, MG 24, B18, 8 (copies); B101 (transcripts); RG 1, E1, 51–57; E3, 21–103; RG 5, A1; RG 19, 1130–75. PRO, CO 42/365–517 (mfm. at PAC). Arthur papers (Sanderson). “Journals of Legislative Assembly of U.C.,” AO Report, 1914. “The journals of the Legislative Council of Upper Canada . . . [1821–24],” AO Report, 1915. Town of York, 1815–34 (Firth). U.C., House of Assembly, App. to the journal, 1836, 3, no.90; 1837–38, 1: 77–131; 1839–40, 2: 27–36; Journal, app., 1825–26: 5–9; 1830: 21–48, 67; 1833–34: 113–20; Statutes, 1802, c.3; 1831, c.14; 1834, c.53; 1838, cc.51–52. British Whig, 1834–38, 1847. Chronicle & Gazette, 1833–44. Burke’s peerage (1970), 2394. “Calendar of state papers,” PAC Report, 1936: 399–598. “State papers – U.C.,” PAC Report, 1943. G. E. Cokayne, The complete peerage of England, Scotland, Ireland, Great Britain and the United Kingdom, extant, extinct, or dormant (new ed., ed. Vicary Gibbs et al., 13v. in 14, London, 1910–59). Toronto directory, 1833–34, 1837. H. G. J. Aitken, “The Family Compact and the Welland Canal Company,” Historical essays on Upper Canada, ed. J. K. Johnson (Toronto, 1975), 153–70 (republished from the Canadian Journal of Economics and Political Science (Toronto), 18 (1952): 63–76); The Welland Canal Company: a study in Canadian enterprise (Cambridge, Mass., 1954). Careless, Union of the Canadas. Craig, Upper Canada. D. [G.] Creighton, The empire of the St. Lawrence (Toronto, 1956). J. L. Field, “The Honourable John H. Dunn (1794–1854): a Canadian receiver general” (ma thesis, Queen’s Univ., Kingston, Ont., 1947). W. D. LeSueur, William Lyon Mackenzie: a reinterpretation, ed. A. B. McKillop (Toronto, 1979). M. L. Magill, “John H. Dunn and the bankers,” Historical essays on Upper Canada, 194–215 (republished from his article, written under the pseudonym John Ireland, in OH, 62 (1970): 83–100). J. R. Robertson, The history of freemasonry in Canada from its introduction in 1749 . . . (2v., Toronto, 1900), 2: 183–86. Robertson’s landmarks of Toronto, 1: 264, 504, 506; 3: 110. P.-G. Roy, La famille Juchereau Duchesnay (Lévis, Qué., 1903), 395–96. Scadding, Toronto of old (Armstrong; 1966). Adam Shortt, Lord Sydenham (Toronto, 1908). “Hon. J. H. Dunn,” Mail and Empire (Toronto), 22 June 1935: 6. J. K. Johnson, “The U.C. Club and the Upper Canadian elite, 1837–1840,” OH, 69 (1977): 151–68. George Murray, “Dunn descendants,” and “Hon. John Henry Dunn,” Mail and Empire, 15 June 1935: 6; 29 June 1935: 6. Ken Cruikshank, “DUNN, JOHN HENRY,” in Dictionary of Canadian Biography, vol. 8, University of Toronto/Université Laval, 2003–, accessed April 24, 2019, http://www.biographi.ca/en/bio/dunn_john_henry_8E.html.